A few weeks ago, the Disney Parks Blog announced a Wreck-It Family Game Day meet-up with access to Disney Quest, and a screening of Disney’s new film Wreck-It Ralph. I grew up playing Super Mario Bros and Contra, and still enjoy playing video games like Epic Mickey from time to time with my daughter, but I was not all that interested in seeing Wreck-It Ralph. I figured that if I had some time on my December cruise, then I may check it out. When the Wreck-It Family Game Day meet up was announced, I remembered my wife, daughter, and I had already planned a weekend at the Art of Animation Resort to check out the new Little Mermaid rooms, and naturally this meet-up sounded like a great family activity on a Saturday morning. We arrived at Downtown Disney around 8:15 in the morning and got in line at Disney Quest. After signing some waivers and getting our wristbands we were allowed into Disney Quest. 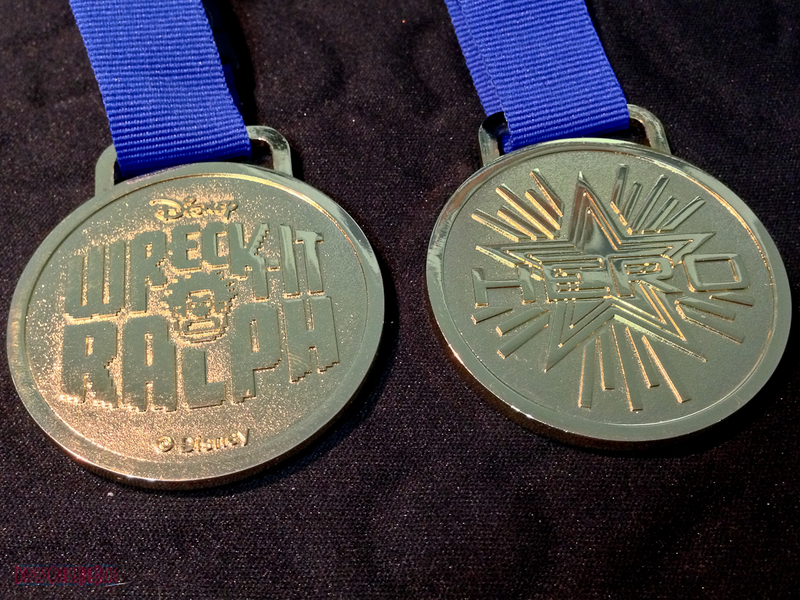 In the lobby, we were given a hero medal which is prominently featured in the film and a temporary Ralph tattoo. We were sent up the elevator to the 3rd floor. Once we got off the elevator, we decided to bypass the main room photo op and the crowded the Fix It Felix Jr. arcade machines set up off to the side. The first arcade game I spotted was TRON! 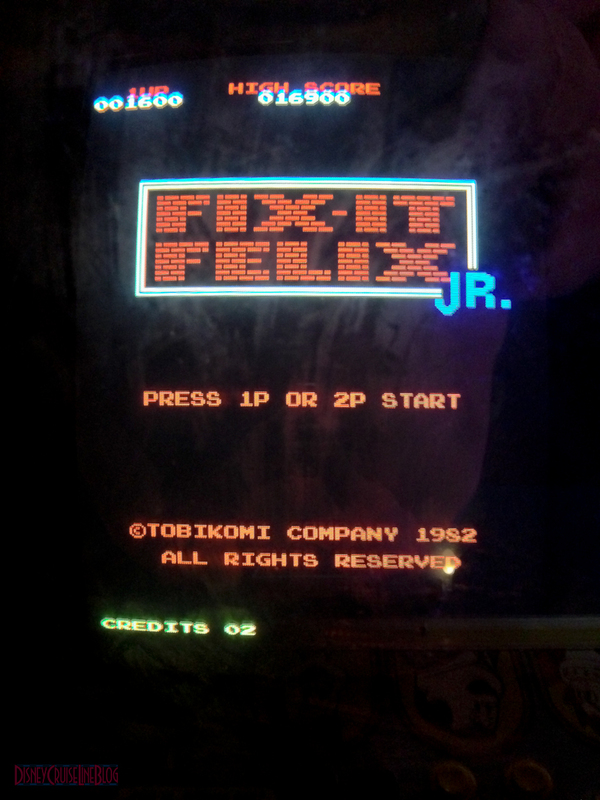 After a few unsuccessful attempts at conquering the grid, we moved on to the fourth floor where I spotted a lone Fix It Felix Jr arcade machine. At first, I thought the game was a knockoff of Rampage when I saw Ralph destroying the Niceland apartment building. However, once Ralph does his damage, you get to take control of Felix to fix the broken windows while evading the cascading bricks. It is a really fun game and I look forward to playing it again. Another special treat available for the event was a $4.25 Wreck-It Ralph themed cupcake! It looked good – but what kind of example would I be setting for my daughter by eating a cupcake at 9 AM?? 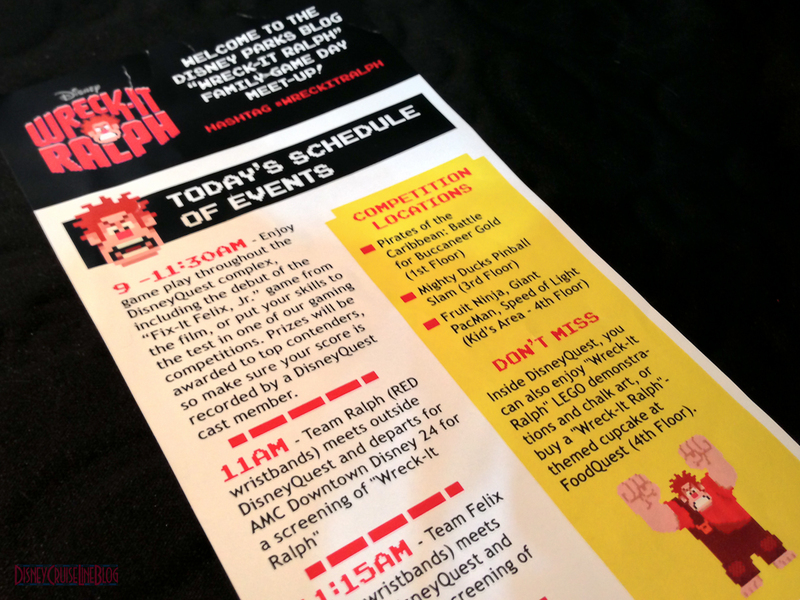 The time flew by as we enjoyed all Disney Quest had to offer, and before we were done, it was time to head over to AMC 24 for the Wreck-It Ralph preview screening. On the way out of Disney Quest, we were all given a 20oz soda and a bag of popcorn, which by the way, was very cool of Disney to do! 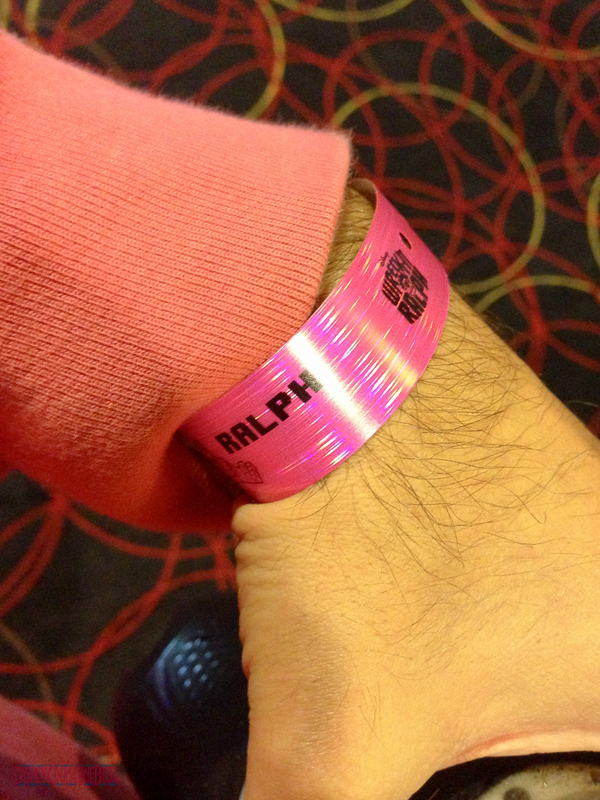 I mentioned earlier that Wreck-It Ralph was not on my list of must see movies. However, after playing Fix It Felix Jr and other games with my family, the idea of a movie depicting the trials and tribulations of video game characters “off duty” became intriguing. I could no longer wait; I was ready for the movie! Before the movie started, we were told that Wreck-It Ralph and Vanellope von Schweetz will be having a meet and greet at Disney’s Hollywood Studios beginning on October 28th. Then, for the first time, the Ralph character from the aforementioned meet and greet entered the theater and walked down the aisles. Ralph is HUGE, but since we had to turn in our cameras and smartphones before entering the theater I did not get a picture. However, you are in luck!! You can see him near the end of the Wreck-It Ralph recap video and picture posted on the Disney Parks Blog. Now before I get into the movie, I must mention the 3D trailer for Oz The Great and Powerful. I’ve been awaiting this movie since it was first announced and even though this is the same trailer that was released this summer at San Diego Comic Con, seeing it in 3D made it seem like new! If the story comes close to matching the detailed visuals of the movie, then this is going to be an amazing release. I cannot wait for March 2013 to see it, in fact, I will get to opportunity during the opening weekend while sailing on the Disney Fantasy. The next preview was for this December’s release of Monsters Inc. in 3D. The doors scene where they are going back into storage looked stunning in 3D. This release will introduce a new audience to the franchise ahead of Monsters University, which is due out in theaters on June 21, 2013. Paperman is a new Disney short that is attached to Wreck-It Ralph. The short film combines traditional hand drawn and computer generated animation to create a unique romance story set in a black and white mid-century New York City. The film follows a young man who meets a beautiful women at the train station during his morning commute to the office. Before he realizes it, she is on the train leaving him to wonder what may have been. With the help of some paper planes, and a friendly breeze he tries for a second chance. I really enjoyed Paperman, but I’m not sure the target age group of Wreck-It Ralph will appreciate the overarching story. I’m sure the younger viewers will enjoy the paper planes. Disney Animation released a series of behind-the-scenes footage about the making of Paperman on their YouTube channel. Updated: Disney Animation has uploaded the Full Paperman Short to their YouTube Channel. For over 30 years, Ralph has been doing the same job game after game. As soon as he wrecks the building, Felix (the hero) steps in an fixes the place which earns him a gold Hero’s medal. Ralph struggles with the fact he is the bad guy in his video game. When the residents of Niceland celebrate the 30th Anniversary of their game, Fix It Felix Jr, Ralph looses his cool when he realized that no one in his game likes him “away from work” even though he is just doing what he was programed to do. This unsettling realization of Ralph’s leads to my favorite scene in the entire movie, the Bad-ANON (Bad Guys Anonymous) sequence. Bad-ANON is group therapy for video game villains who take life One Game at a Time, and recite “I’m a bad guy, but I’m not a bad guy”. The group is led by Clyde, the orange ghost from PacMan. It was a great surprise to see Mario and Luigi’s nemesis, Bowser, at the Bad-ANON meeting. I knew Mario and Luigi were not going to be in the movie, but I never expected to see Bowser. In attempt to earn the respect of the Niceland citizens, Ralph sets off to earn his own medal in the new first person shooter game, Hero’s Duty. After a series of unlucky events Ralph finds himself in the candy themed racing game, Sugar Rush. His medal is stolen by Vanellope Von Schweetz, a glitch in the game. She promises to return his medal if he helps her with the race; a race in which she has never been allowed to participate in as a result of her being the game’s glitch. The animators did a great job at bringing each voice actor’s unique characteristics to screen. 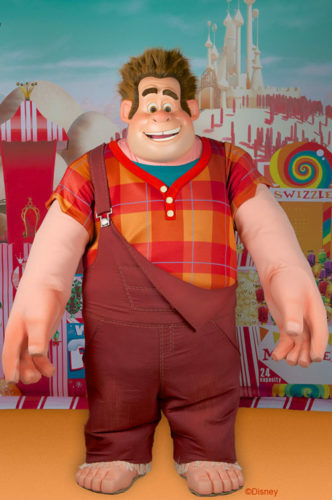 If you have every watched 30 Rock, you can see Jack McBrayer’s Kenneth persona come to life as Fix-It Felix, Jr. John C. Reilly and Sarah Silverman bring their unique comedic talents as Wreck-It Ralph and Venellope Von Schweets. Glee‘s Jane Lynch serves as Sergeant Calhoun from Hero’s Duty. (Yes, there are a few duty jokes!) I think the best voice comes from King Candy, voiced by Alan Tudyk . 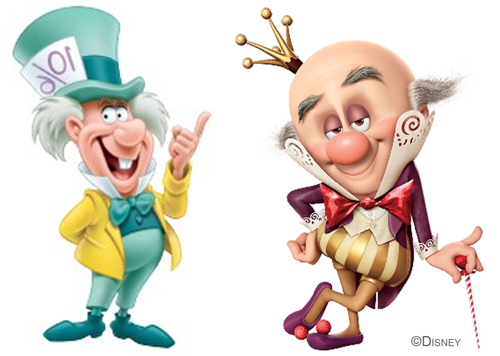 All I could think about every time King Candy was on screen or I heard his voice, was the Mad Hatter from Alice in Wonderland. Throughout the movie, there are cameos and nods to many classic video games. 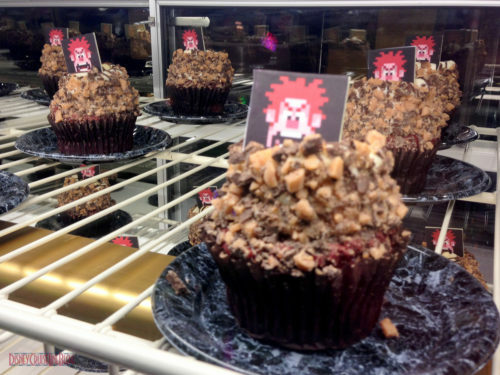 My favorite nod was the password King Candy used to protect the Sugar Rush source code. I took me back to my childhood playing Contra on my Nintendo. In the Toy Story movies, the toys came to life when the children were away. 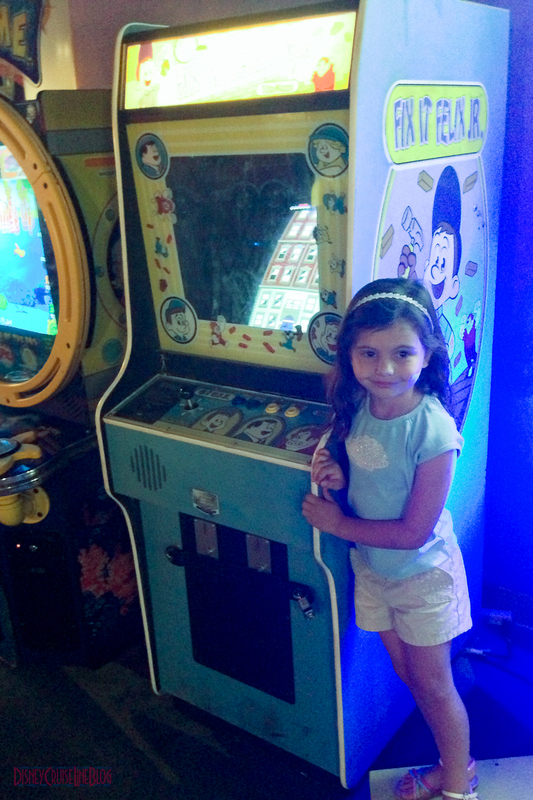 Wreck-It Ralph takes a similar approach, in that the video game characters interact and mingle when the arcade is closed. The characters move around via Game Central Station, or as we humans know a surge protector and electrical wires. Just like a subway system, each game is connected to surge protector by it’s power cord just like train tracks to a train station. At first glance, Game Central Station looks like your typical train terminal; but upon closer inspection you can see the electric outlets and plugs connected to each game. From time to time, the surge protector (much like a TSA agent) stops the characters as they pass through the station. Unfortunately, Ralph is almost always stopped and questioned. The movie provides the audience with two different perspectives. The first is in the eyes of the video game characters, while the other is from the human perspective looking into the arcade console. This switch is really cool especially during the scene at Tappers when we go from seeing Ralph and the bartender talking, then cut to the bartender serving beer to bar patrons in 8-bit from the human perspective looking into the arcade console. The story, in my opinion, is most important aspect of a film regardless of how well it looks and sounds on the big screen. The underlying story of Wreck-It Ralph stands on it’s own, and can be enjoyed by gamers and non-gamers alike. I went from not interested in the movie to looking forward to the day I can bring it home on Blu-ray! If you are sailing on a Disney Cruise, November 2nd make it a plan to stay up late for the PremEAR at Sea, and if you are sailing anytime after check your Personal Navigator for showtimes! I’ve already penciled it in on my December cruise to-do list to see it again. If you are on land head out to the theater! Last, but not least, make it a point to stick around for the credits until the end. The song that is played is by the popular music group Owl City and is pretty catchy (preview the Wreck-It Ralph soundtrack on iTunes)! It is well worth the time, and besides it give you a time to read the names of all the people who brought the movie to life! Wreck It Ralph is now available to preorder on Blu-ray/DVD. Not willing to wait? Get the HD Digital Download first beginning February 12, 2013! This entry was posted in Movie Review, News and tagged Wreck-It Ralph by Scott Sanders. Bookmark the permalink.